Vizcaya Miami After Session. I have read an article about new trend in wedding photography: after sessions! An after session is actually an additional photo shoot as a wife and husband already. But they usually wear the same wedding gown and tuxedo and it can be done few days to few months after the big day. I got few inquires for after session in last two years. Main reason was usually the fact that they don’t like their pictures, which is just about right choice of the photographer for your wedding. The reason for this one was different. 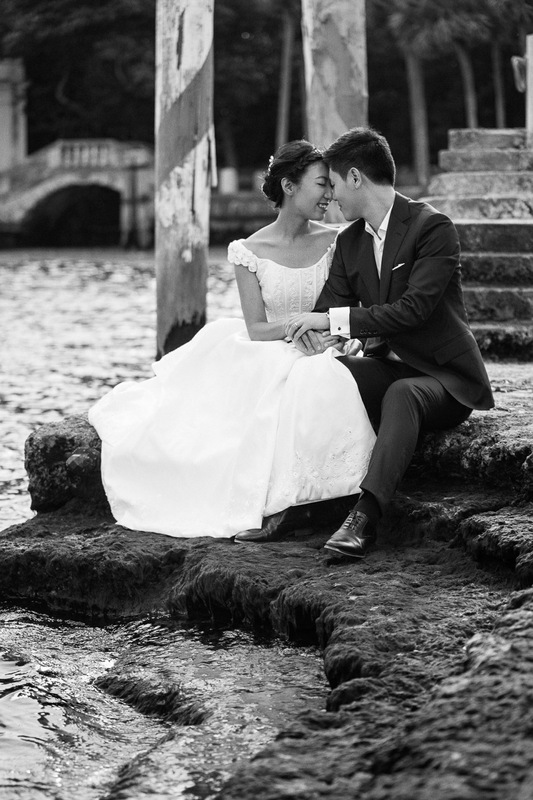 Huilong and Ying are young couple from China, living in Miami. They got married in the court here, and now they going to have big wedding in China. 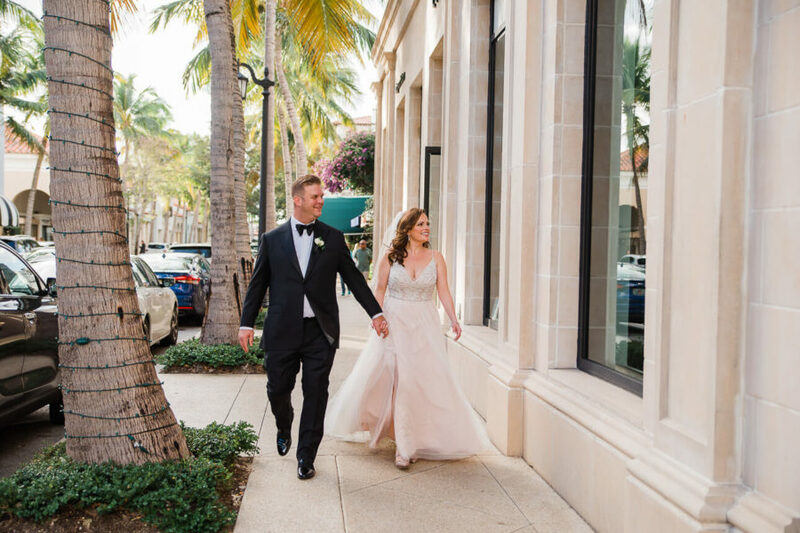 For some personal reason they decided to have our traditional wedding pictures captured in Miami, to show it on their real wedding. The process was almost the same as with the wedding photography. 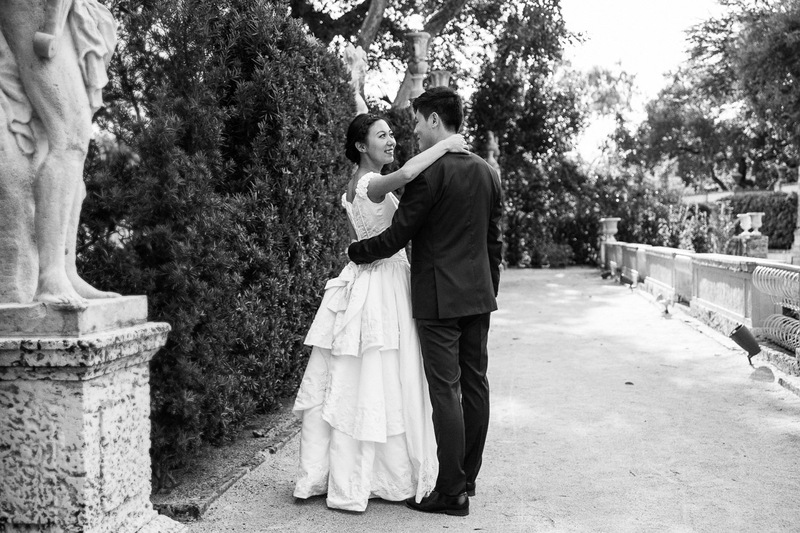 Huilong and Ying had to chose their miami wedding photographer, makeup artist, hair stylist and the bridal store. They apparently chose me, but I don’t know who was the makeup artist. I’ve had few suggestions for the wedding gown but at the end Ying managed to borrow it from her friend. We only needed bouquet and we were ready. I think location was very important in this case. According to Huilong’s wish it had to be something different from Asian culture but he also wanted gardens. My first thought was about Vizcaya Museum & Gardens. I’ve been shooting couple weddings there and it’s also one of my favourite place in Miami. Huilong was not really sure, but once they came and saw it, they fell in love with that magic place. And I believe we have created great job for small budget, which is not really usual. Please, let us know how you like this Vizcaya Miami After Session in comments below. Way to find a gorgeous place for your clients. Beautiful work! Yes, it’s one of my favorites. Thank You Elizabeth! What a beautiful couple!They look so natural in front of the camera! I love all the black and white shots! Thank You for comment, Meghan! Yes, I really enjoyed working with them! I love after sessions! Wedding days are sooo busy that before or after sessions also give the couple time to really enjoy the process rather than worrying about getting back to their guests! so true, Kara! Thank You! Should be so fun shooting in Florida. There’s something about black and white pics so attractive. yes, I love B&W pictures too! Thank You! oh wow those pics are amazing so vivid and loads of textures. I’m ashamed to say I’ve lived in Florida over 28 years never been there. Go ahead and give it a visit. Thanks for dropping by Maggie. I love the idea of these sessions! Beautiful photos! Beautiful photographs which I’m sure this couple will treasure forever. These photos are amazing, I remember a few “friends” got married not long ago, but I didn’t see the happines on their photos, maybe I should send them your contact info. Stunning photography portraying wedding mood and emotions of couple. What a great idea! I’m sure the after session is much more relaxed. Great pics. Beautiful shots! You can see the love. Great job! So wonderful to capture the moments even after the wedding! Great photos! As I Miami native, I know this location well. I remember growing up and joining my friend for her quincenera pictures, and how beautiful they came out! Great post and great photography talent! Wow, that surely is fantastic! I mean growing up in a place and seeing it’s progress. Thank you for dropping by too. As always, gorgeous pictures. I love the fact they chose black and white as it brings out the beauty of their wedding. Nice job! 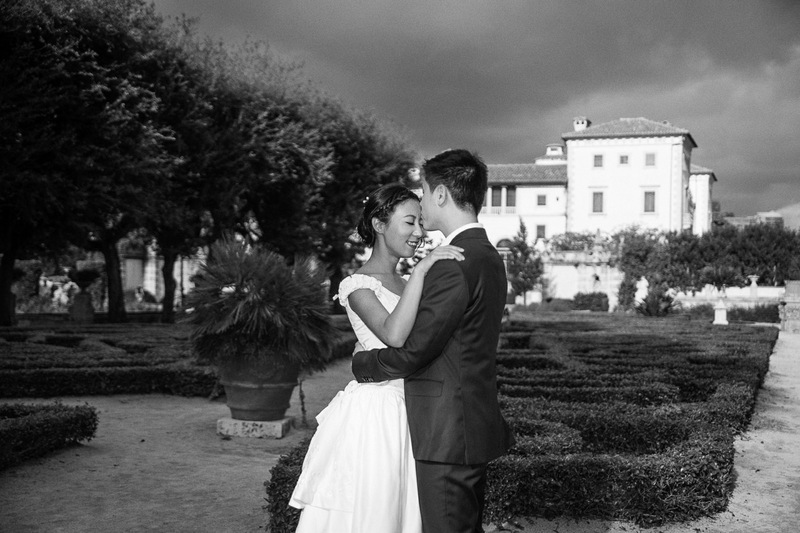 Beautiful black and white wedding photographs! I’m always loving your photographs. They’re so unique! Magnificent! Wonderful photos! I’d to have after session too when I get married. As always, your photos are captivating! Congratulations! I love that the pictures have been captured in Black and white. They are stunning and bring out the right emotions. I never knew there was such a beautiful place in Miami for a wedding! These are magnificently done. 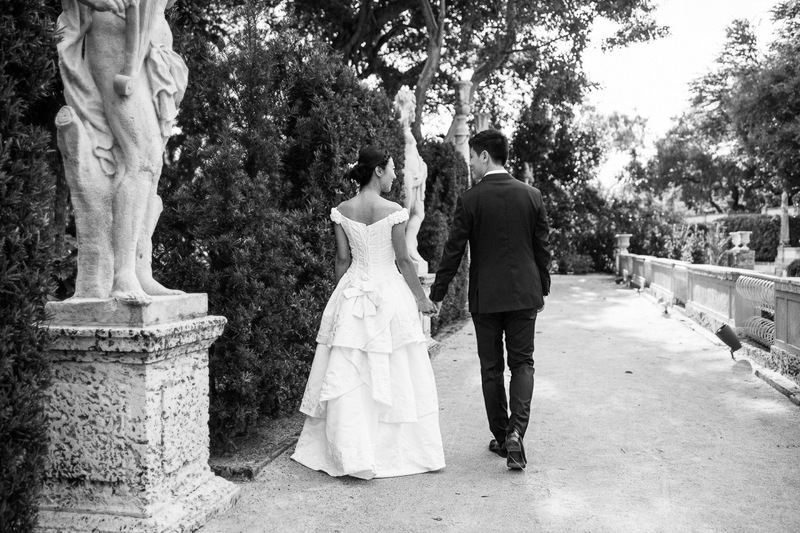 I agree Vizcaya is my favorite wedding venue in Miami. Thank You, Emily! All the photos are very beautiful. Your wedding dress is very different and stunning from most I see. This is an amazing location for a wedding! I wanted to visit there when I was in Miami, but it was closed! It’s lovely to live vicariously through these beautiful pictures. Such a special special day. Thank You for stopping by and nice comment, Aireona! 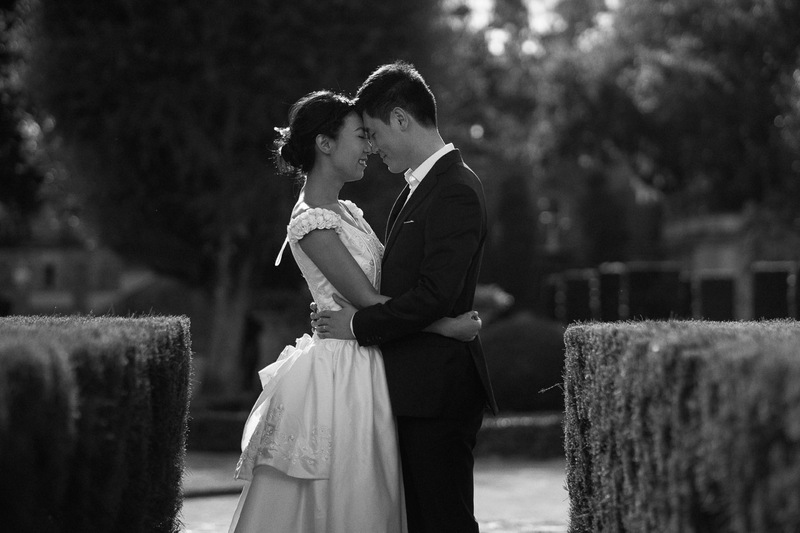 It’s a blessing when a couple like Huilong and Ying can gain access to such a high end wedding photographer on a budget. 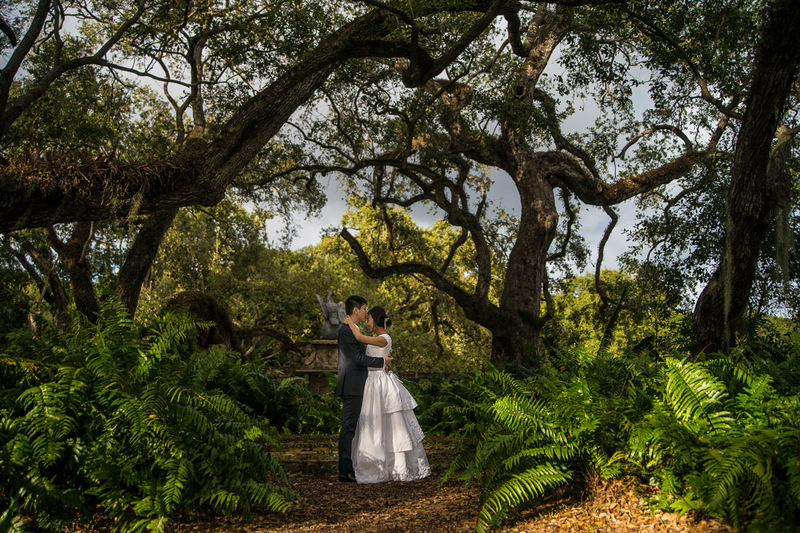 The Viscaya Museum and Gardens was a great backdrop for the lovely couple. Thank you so much for your kind words as always Keishia.It’s also always a blessing when you visit my page. what a beautiful wedding, you look so amazing, and congrads to the lovely couple. thanks for sharing this. Do I look so amazing? 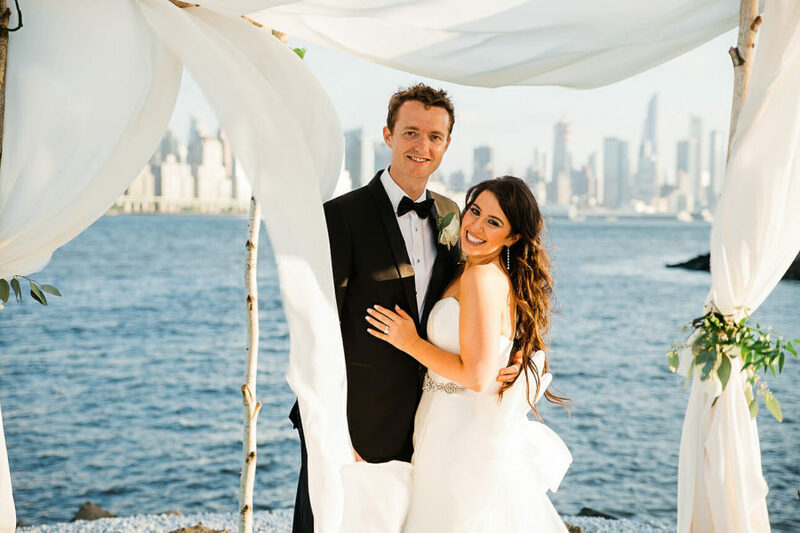 Thanks Laura, yes the couple should look so lovely and stunning on their special day. The setting is stunning and the couple looks so beautiful and happy together. It was a great choice for the photo shoot.